Send us a poem about a special day. This can be a special day for you, such as your birthday. Or maybe a special day for a member of your family, like Mothering Sunday or your brother collecting an award in assembly. It might be the day the new puppy came or the day Dad drove the car into the pond. It could be a special day at school – maybe the day a famous poet visited the school, the Year 6 disco or the day Grandma and Grandad won the three-legged race at the school sports. You could also write about a special day in history: the day King Alfred burned the cakes, the day peace was declared after World War Two, the day England won the World Cup, the day we landed on the moon or the day we won a gold medal at the London Olympics. 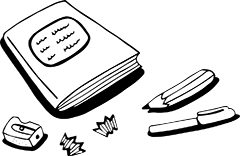 Poems can be long, short, rhyming or non-rhyming, or in any other kind of style. They can be sad, happy, serious or funny. 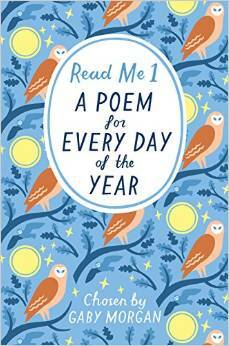 We have five signed copies of Read Me 1: A Poem for Every Day of the Year (Macmillan Children’s Books), chosen by Gaby Morgan, for the winners. Read Me contains a poem for every day of the year from the very best modern and classic poets. There are 365 rhymes, verses and poems from the likes of Brian Patten, William Wordsworth, AA Milne, Emily Dickinson, Wes Magee, William Blake, Seamus Heaney, Ian McMillan, Gareth Owen and Walter de la Mare. Poems must be your own work. The competition will close on September 1st 2015. Good luck!